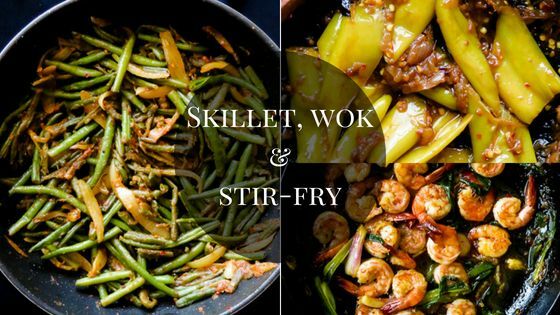 Easy wok recipe that fixes you need for a spicy seafood dish and a one-pot meal dinner. This post contains affiliate links where at no additional costs to you, I will earn a commision if you click through and make a purchase. Did you make my sriracha spicy shrimp with coconut milk sauce? Well, this is recipe is all about using the same sriracha shrimp to make a one-pot wok meal. 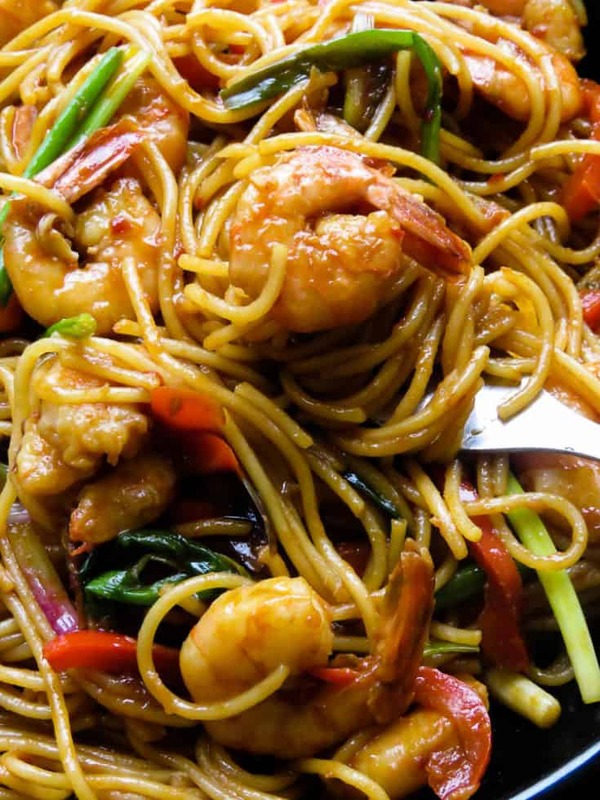 You can serve the Sriracha shrimp noodle stir-fry as lunch or dinner. If you meal prep for the whole week, the spicy stir-fry noodle can be made for these meal boxes as well. How I deveined and shelled shrimp. There is no trick to make it easy, except for the toothpick that helps with the deveining, but here’s how I do it. Transfer all the shrimp/prawns into a large pan. Wash and drain twice then to the final rinse, add 1/2 teaspoon of turmeric before draining. When that’s done, I start shelling the shrimp. I find the two-step method much easier to handle than trying to devein and shell a shrimp at a time. You can use the heads to make the shrimp head fries and throw out the rest. would love to know what method you use. Thank you for stopping by, I hope you make this recipe for your family. if you enjoyed it, please let me know, if you feel the recipe needs a few tweaks, even then, drop me a message. I am on almost all the social media you are in and you can find me, on Facebook, Twitter, InstagramandPinterest. 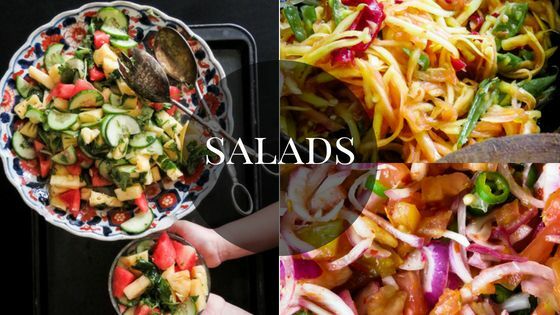 You can keep track of new recipes by liking or following the blog social media profiles but life happens and I do forget to update them sometimes. 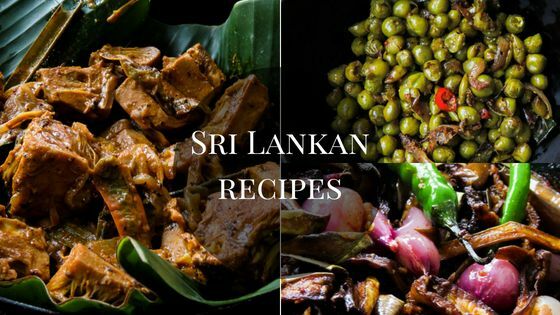 If you’ve found the recipes posted here are helpful in any way,then please subscribe to the blog, this is the only reliable way that I can keep in touch with you. Thank you again for your time and don’t forget, Subscribe for new recipe updates! 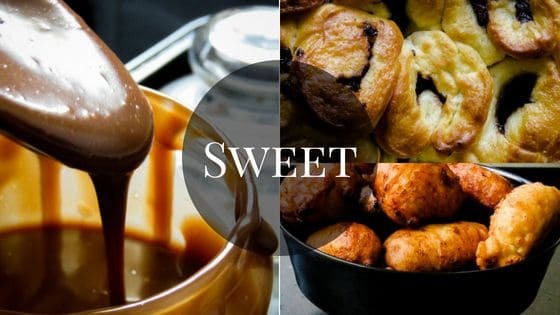 Save the recipe to your favourite Pinterest board! How I adapted the spicy sriracha shrimp stir-fry to serve two meals for my family. When I was planning to make the spicy sriracha shrimp, I made sure that I bought 1 kg of shrimp. I made the Sriracha shrimp stir-fry in a coconut milk sauce using all the shrimp(1kg of it). The recipe on the blog for the shrimp stir-fry is for 500g, I doubled all the ingredients except for oil and made it for 1kg. Once it was done, I separated the shrimp stir-fry into two equal portions. One shrimp stir-fry was served as a side dish for lunch. The other half was used to create this shrimp stir-fry noodles, whatever shrimp was leftover fom lunch was added to the stir-fry as well. Again if you don’t want to serve shrimp for dinner, pack the noodles to be served the next day. I wouldn’t advise keeping the noodles longer than that unless you freeze it. My kids are not patient, they saw me making both the dishes(sriracha shrimp stir-fry and the noodles)so they had both on the same day. no left-overs. And this is how repurposed the recipe to make two dishes. Toothpick to devein the shrimp. Wok to make the noodle stir-fry. Workflow to make Sriracha shrimp stir-fry noodles. Devein and shell all the shrimp. 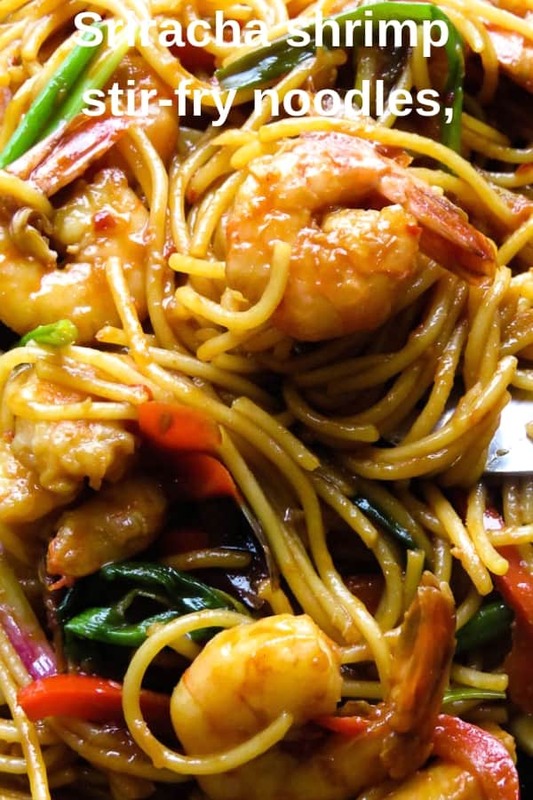 Make the sriracha shrimp stir-fry. 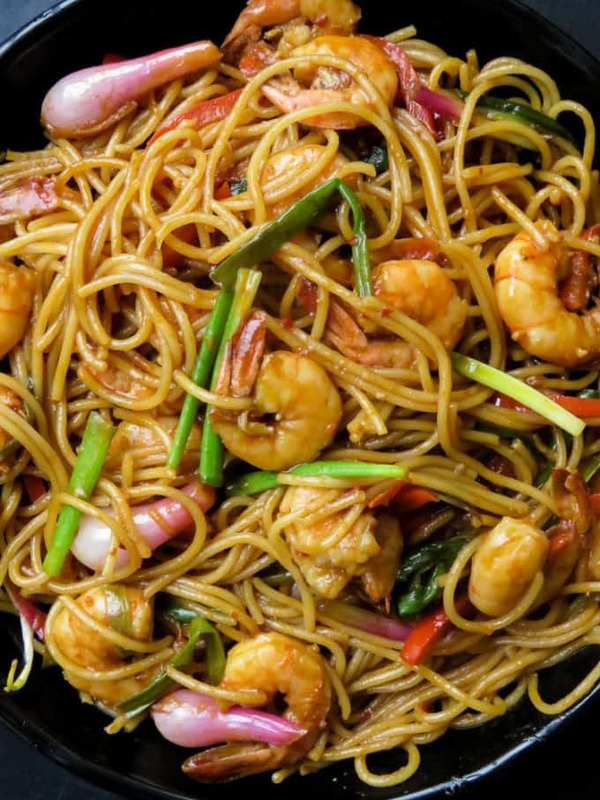 Combine the pasta with the sriracha shrimp stir-fry with a few add-ons. What type of noodles should I use? I find using Asian noodles doesn’t do well for stir-fries that need to be made early and served at dinner. They usually turn soggy if left too long or breaks into smaller pieces while mixing. For this reason, I tend to use spaghetti noodles to make dishes such as this one-pot noodle stir-fry. I can go crazy with my two spoons mixing and combining, so spaghetti pasta is hardy enough to withstand my spoon skills. Which makes life easy for me because, I tend to make dinner really early and at serving time all I have to do is heat and serve. Tip- when mixing, I like to use two wooden spoons to combine the shrimp and spaghetti noodles. Please make sure to read the recipe instructions carefully to avoid mistakes. Ingredients mentioned below use standard measuring cups and spoons. Make sriracha spicy shrimp with coconut milk sauce(The original recipe is made up of 500g of shrimp which I’m increasing to 700g, all other ingredients including the ingredients mentioned below will adjust the shrimp to flavor the noodle stir-fry). Make the sriracha shrimp in coconut milk sauce and set aside. As mentioned earlier on the ingredient list, you will be changing only the amount of shrimp from 500g to 700g. Before continuing with the next step, start cooking the spaghetti as per package instructions but 2-3 minutes less than what is mentioned(al dente), drain and set aside until used. Place a wok over low medium heat, pour in the oil, add the minced garlic, followed by green chillies, sriracha sauce, chilli flecks, extra scallions, soy sauce and finally the tablespoons of coconut milk. Stir and combine the ingredients over the fire for 3 minutes. Add the premade sriracha shrimp stir-fry to the wok, reduce heat, combine all the ingredients well, taste and adjust seasoning as per your need(you can adjust the amount of heat, seasoning as well as add another tablespoon of sugar(not mentioned in ingredients). When you are done,make sure that you’ve built up the shrimp with the sauce, thick enough to coat and flavor the pasta noodle. Making the shrimp stir-fry noodles. 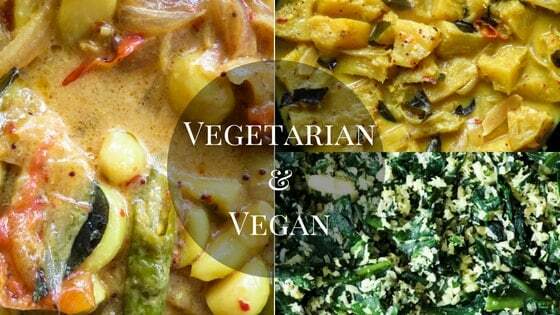 To make the stir-fry, all you have to do now is to combine both the two main components. Drain the noodles completely, there should not be any excess water. add them to spicy sriracha-shrimp. Now, turn on the stove to low fire and using two wooden spoons, mix the shrimp and sauce with the noodles. Spend a few minutes combining both the ingredients together. taste and season with salt if necessary. Please don’t forget to rate the recipe on the recipe card so other readers find it helpful and show me your recipe by tagging me #islandsmile178 on Instagram. 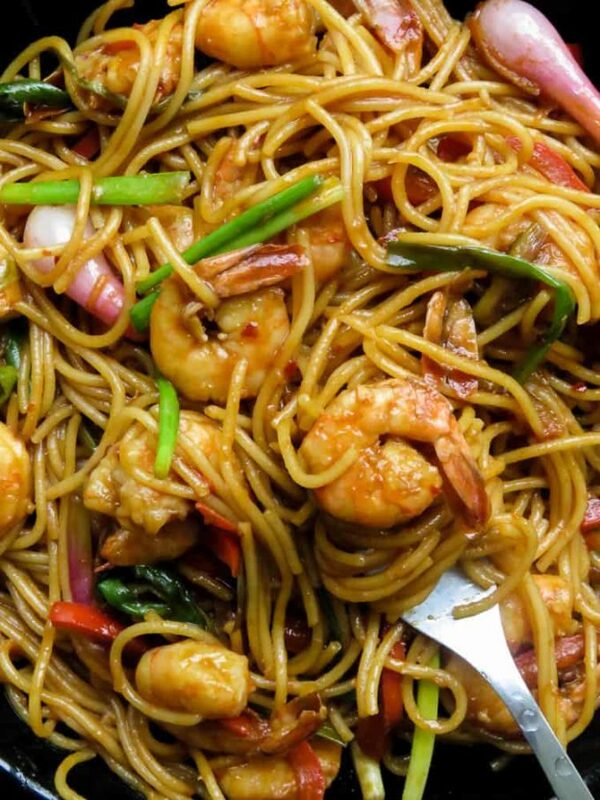 SRIRACHA SHRIMP STIR-FRY NOODLES. EASY WOK RECIPE THAT FIXES YOU NEED FOR A SPICY SEAFOOD DISH AND A ONE-POT MEAL DINNER. (The original recipe is made up of 500g of shrimp which I'm increasing to 700g, all other ingredients including the ingredients mentioned below will adjust the shrimp to flavor the noodle stir-fry). To make the stir-fry, all you have to do now is to combine both the two main coponents.